Drawing on original interviews with those closest to Zevon, including Crystal Zevon, Jackson Browne, Mitch Albom, Danny Goldberg, Barney Hoskyns, and Merle Ginsberg, Nothing's Bad Luck tells the story of one of rock's greatest talents. Journalist C.M. 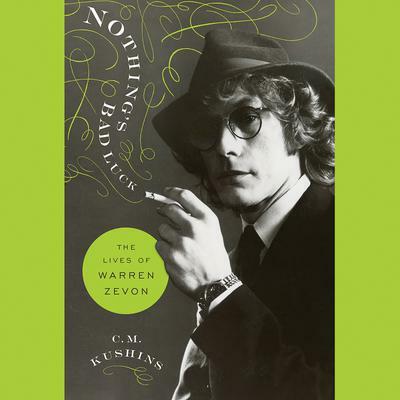 Kushins not only examines Zevon's troubled personal life and sophisticated, ever-changing musical style, but emphasizes the moments in which the two are inseparable, and ultimately paints Zevon as a hot-headed, literary, compelling, musical genius worthy of the same tier as that of Bob Dylan and Neil Young. In Nothing's Bad Luck, Kushins at last gives Warren Zevon the serious, in-depth biographical treatment he deserves, making the life of this complex subject accessible to fans old and new for the very first time.